The Single Supervisory Mechanism (SSM) refers to the system of banking supervision in Europe. It comprises the ECB and the national supervisory authorities of the participating countries. The SSM is one of the two pillars of the EU banking union, along with the Single Resolution Mechanism. Why do we need European banking supervision? The recent financial crisis has shown how quickly and forcefully problems in the financial sector can spread, especially in a monetary union, and how such problems directly affect people across the euro area. The purpose of European banking supervision is to help rebuild trust in the European banking sector and increase the resilience of banks. 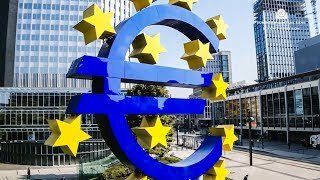 What is the ECB’s role? The ECB, in cooperation with the national supervisors, is responsible for ensuring European banking supervision is effective and consistent. What does banking supervision entail? The ECB directly supervises the 119 significant banks of the participating countries. These banks hold almost 82% of banking assets in the euro area. The decision on whether a bank is deemed significant is based on a number of criteria. Ongoing supervision of the significant banks is carried out by Joint Supervisory Teams (JSTs). Each significant bank has a dedicated JST, comprising staff of the ECB and the national supervisors. Banks that are not considered significant are known as “less significant” institutions. They continue to be supervised by their national supervisors, in close cooperation with the ECB. At any time the ECB can decide to directly supervise any one of these banks to ensure that high supervisory standards are applied consistently. All euro area countries participate automatically in the SSM. Other EU countries that do not yet have the euro as their currency can choose to participate. To do so, their national supervisors enter into “close cooperation” with the ECB. For those EU countries that are not participating in the SSM, the ECB and the relevant national supervisors may set out in a memorandum of understanding how they will cooperate on supervisory matters.